Microsoft Store is now offering an incredible discount for its Surface Laptop with Intel Core M for just $699. By saving $100 you will get an entry configuration with a perfect laptop experience powered by Intel Core M3, 4 GB of DDR3L RAM, and 128 GB SSD. Every Surface Laptop comes with beautiful design, perfect typing experience, and unique feel of the Alcantara covered the keyboard and palm rest. You also get a fast, easy, and secured Windows Hello Face Authentication that you can’t find at this similar price point. The 7th generation of Intel Core M processors comes with Intel HD Graphics 615. It is powerful enough for you to get most of the jobs done and some light gaming. You will also get the longest battery life out of this model as the CPU’s TDP is designed to draw power of 4.5W compared to 15W on other models. 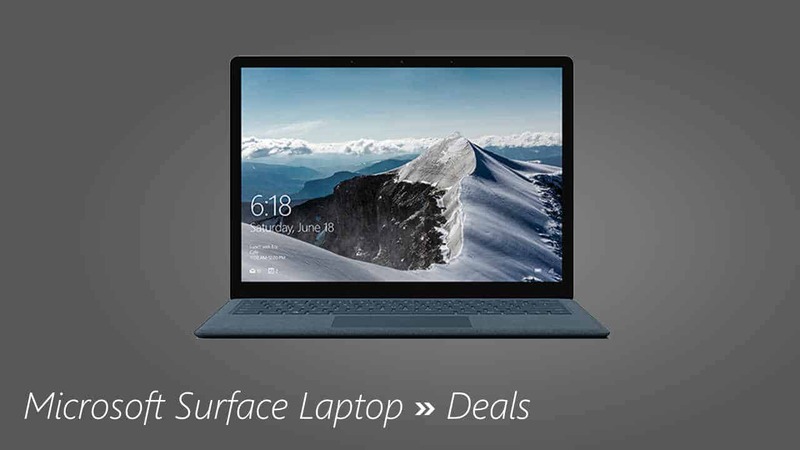 If you plan to get a new laptop for notetaking, web surfing, email, and basic everyday tasks, this Surface Laptop with the deal is a great choice for you. The deal is up and lives right now at Microsoft Store. We appreciate hearing your thoughts, questions, and ideas about “Get a Microsoft Surface Laptop with entry-configuration for just $699”. Please post respectful comments and on topic. We will be replying back to you as soon as possible. Share your idea about "Get a Microsoft Surface Laptop with entry-configuration for just $699".